Expires in 3d . Last validated 3wk ago . Used 27 times. Reinelys Teresa Barreto Gamboa This deal was verified and it is working as described. Select the items and enter the promo code at checkout to get this discount. Some exclusions may apply. Bryce Gallatin I'm re-activating this expired deal. It works as described, Simply enter the code THANKYOU20 at the time of Checkout and enjoy the Discount. Some exclusions may apply. Diego Delgado This coupon is valid and working as described. Select your product, go to the shopping cart, enter the promotional code and Get 20% Off on Your Order at RedLine Steel. 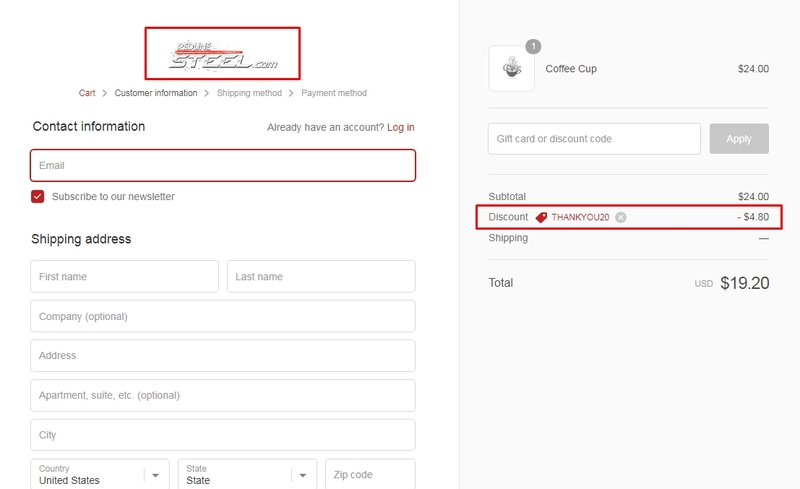 Daniel Garcia I have tested this code and is working as described, place it at the checkout of RedLine Steel and enjoy the discount. Bradshawestilos I am validating that this deal works correctly. 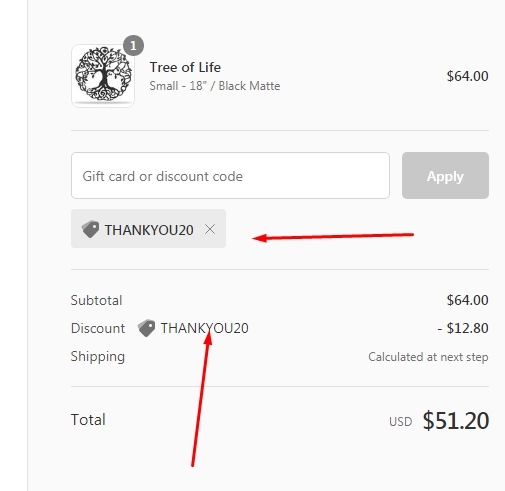 Select the articles and apply the coupon code THANKYOU20 in the checkout section to get 20% off your order. eulio hernandez Get 20% Off on Your Order at RedLine Steel. Just enter this code at checkout to apply the discount. There may be some exclusions that will apply to this deal. karelys cova I am validating that this deal works as described. Simply enter your promo code at checkout and get 20% off your order. Luis Enrique Rojas Moya I am validating that this deal works as described. Enter code at checkout and Get 20% Off on Your Order at RedLine Steel (Site-wide).